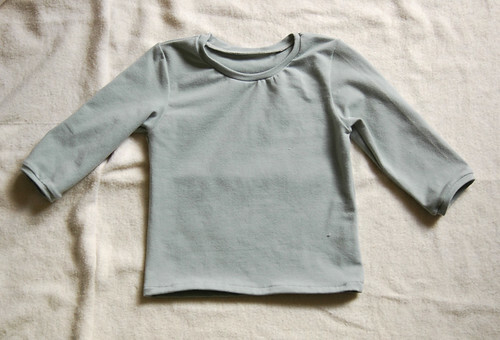 grey sweatshirt made using pattern #2 from ottobre 1/2010. i left the bottom hem unfinished in hopes that it will roll up a bit after washing. the bell sleeves are really cute! 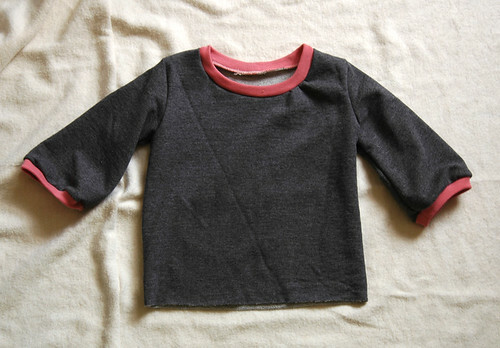 simple, super soft cotton jersey long sleeve made using pattern #11 from ottobre 4/2008. 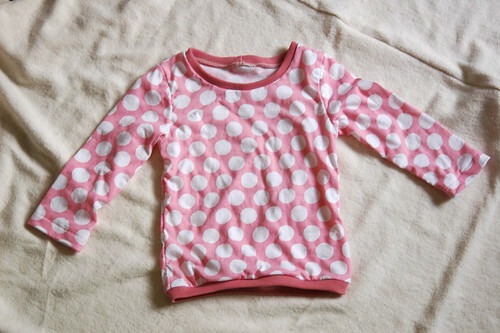 another cotton jersey long sleeve made using pattern #11 from ottobre 4/2008. 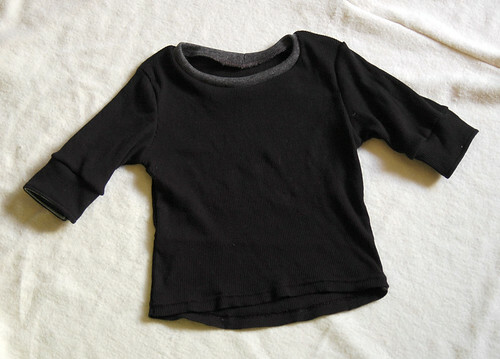 (a perfect basic t-shirt shape, if you ask me). another one made using pattern #11 from ottobre 4/2008. i had to do some fun sleeve modifications as i made this out of one of my tank tops and didn't have enough fabric for the full sleeves but i think it turned out kinda neato. 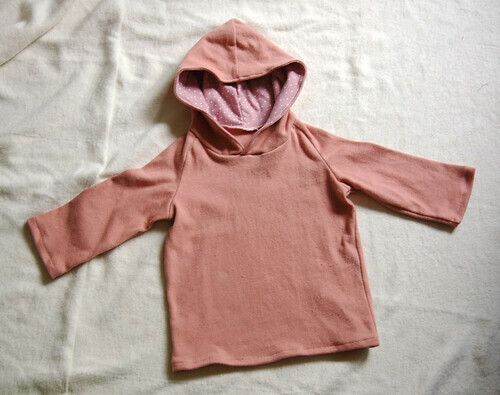 cotton knit hoodie made using pattern #9 from ottobre 4/2009. easy peasy and super cute! the pattern is for a reversible version but i just went with lining the hood. 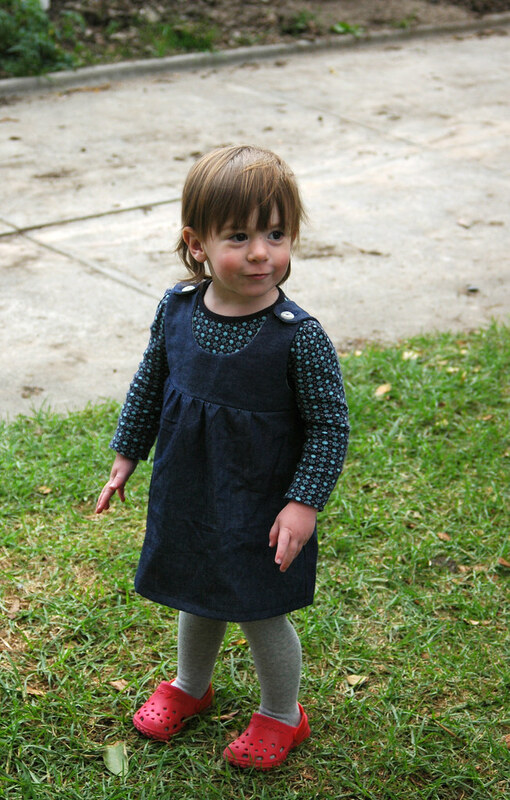 i redrafted the above pattern to fit mae and made her another version in a soft, dark denim. success! i foresee many more of these in her future. 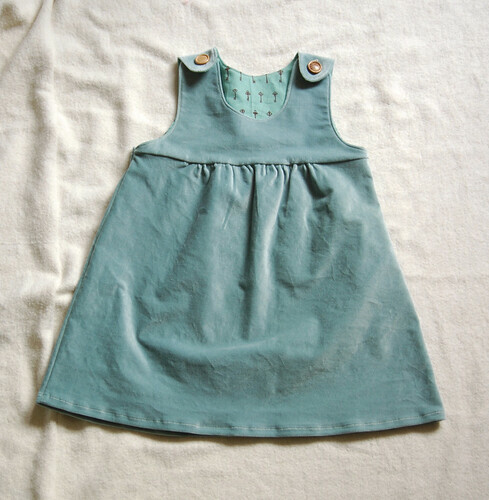 I LOVE the pinafore - it is uber cute! they are all so cute, i love the hoodie and that little girl of your is darling! Wow, so many cute things. I love them all. :Love the colors as well. So subtle and classic. love all of the knit tops - where do you buy your knits from? thanks, everybody! most of these knits are from rathdowne remnants - i am addicted to rifling through the remnant bins : ) i think the dark grey for the sweatshirt was from carmel's last year. They are all so adorable, great job! so so cute especially the pinny. Mae is very lucky! unspeakably cute clothes! especially in person :) I am going to attempt the kidlet pants. wish me luck! Holy talent Batman!! Nice work! I love the shirts. They look really soft and cozy. Well done. Might have a go at some winter clothes for Emma this weekend. Um. Aren't you supposed to find a few minutes to put your feet up inbetween all this gorgeous creating bizzo? 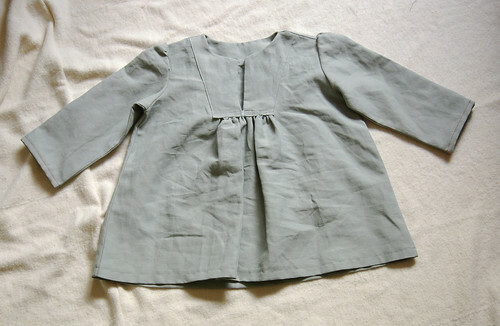 Such adorable sewing from a devoted mother! WOW!what an awesome creator such a beautiful clothes really like your work.